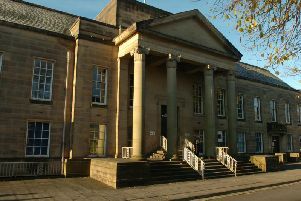 A Burnley man suffered a broken jaw in an unprovoked assault in a pub beer garden. The incident happened at around 11-45pm on Saturday, August 15th, outside the Turf Pub in Yorkshire Street, Burnley. Victim Mitchell Blacklaw (25) was approached by an unknown man who struck him in the face. DC Lee Walker of Burnley CID said: “We believe this was an unprovoked attack and I would urge anyone who witnessed what happened or who has information about the incident to get in touch as soon as possible. “The offender was with a group of around 15 other men and the pub would have been very busy at the time of the incident. Alternatively you can contact Lancashire Police on 101, Crimestoppers on 0800 555 111 or online at Crimestoppers-uk.org.